Suzuki, recognised as an innovative leader in small cars, has hit record sales in the expanding New Zealand new motor vehicle market. The brand captured 7 percent of new passenger car sales in January, its best-ever penetration in more than four decades. At the time, Suzuki sold an all-time record 728 new cars for the month according to Motor Industry Association figures. Following a strong performance in 2016 with a 5.2 percent share of passenger sales, January also saw Suzuki as the fifth best selling passenger car make. Suzuki New Zealand’s sales growth last year was almost twice the level of the increase in total new motor vehicle sales. “We now have the most comprehensive line-up of small cars in the local market, strengthened last year by the launch of the five-door Baleno and in the last few days with the arrival of the distinctive new Ignis,” said Gary Collins, General Manager of Marketing for Suzuki New Zealand. The Swift was the top selling Suzuki model in January, while the Vitara finished second and captured 28 percent of Suzuki’s total volume. The roomy and well priced Baleno hatchback finished the month third best model in the brand’s range, and continues to sell above target. Furthering bolstering of the model line-up is the recent introduction of an improved new facelifted five-door S-Cross hatchback with a choice of two engines and upgraded specifications. 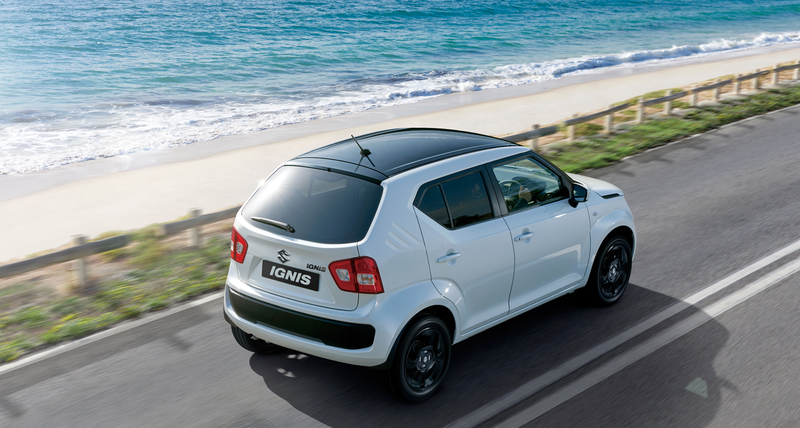 Suzuki is one of the world’s most successful automotive brands, and with the recent arrival of Ignis and upcoming new model plans, the Japanese marque is expected to make further local market inroads during 2017. “We are bullish about the prospects for the unique five-door Ignis hatchback which is already proving something of a fuel economy champion,” said Gary Collins. A manual transmission 1.2-litre Ignis GLX recently completed an independent fuel economy test over a mixture of roads north of Auckland and achieved a remarkable 3.5 litres/100 kilometres (80.7 miles per gallon). “This is likely to be a difficult figure to beat for any other petrol-engined car sold in New Zealand,” said Collins. The Ignis has also been named a finalist in the new Urban Car Category of the 2017 World Car of the Year award. To qualify, a car has to be less than four metres long, and the 3.7 metres long Ignis neatly fits the bill.